Optimal for high-production work, providing a bright white finish with low sheen. 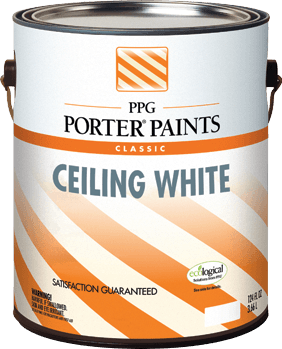 For use on ceilings. Designer Tip: Typically, ceiling paints come in flat sheens to help hide your ceiling's imperfections and minimize the ceiling as a focal point in the room. However, if you're feeling daring, consider the use of a super premium semi-gloss. A higher gloss product will reflect more light off your ceiling and act almost like a mirror, making your room look bigger. Your browser is not large enough to display this table. Please increase the size of your display or use a larger device to view this content. 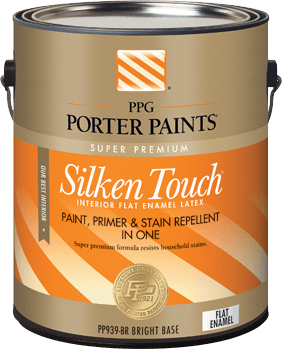 Super premium, paint and primer in one guarantees a lifetime warranty for complete satisfaction. 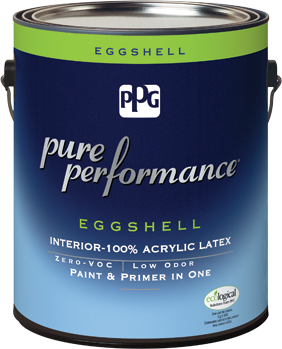 Our premium zero-VOC* interior paint delivers a durable finish that is environmentally gentle.